If you were at the 5th Newberry Event Festival two weeks ago, you know what an epic performance Lukas Nelson & Promise of the Real gave! All performers were amazing. Attendance doubled and multiple year participants said 2017 was the best yet! 2018 is scheduled the 3rd weekend again, July 20-22, 2018, moving ahead with vigor. Doug and Gloria Watt sincerely thank all the incredible volunteers, sponsors, donors, vendors and of course, attendees who make the festival colorful and fun. This year, the festival will be donating $2100 from silent auction proceeds to the Oregon Chapter National Multiple Sclerosis Society; their goal is “a world free of MS!” Special thanks to promoter and workaholic Shawn Jackson of ActionDeniro Productions for bringing great bands from out of state, as well as Kim Schouw for his part in bringing Lukas Nelson into the Newberry family. Attendees and performers say this festival is the kind of event they want to be a part of. As the numbers rise, it still has a private party, “good time for a good cause” intimacy that brings people back. They came from from Reno, Eugene, Portland, Boise, even San Luis Obisbo, with their kids who reunite with friends made prior years. The beautiful outdoor venue offers artist vendors, great food and drink, and music VARIETY, the Newberry Event theme. Many Central Oregonians attended of course. A lucky woman in Prineville won her bid for the electric guitar, signed by Lukas and Willie Nelson, hoping to pass the collectible down to her son or daughter. What a treasure! If you’d like to be more involved, please complete a website contact form as this takes a small army. One of Doug’s songs says, “find a place to fill and fit in.” Striving for progress before year end, what can you offer? Lastly, a SPECIAL OFFER for recipients of these newsletters. Website now has 2018 “Loyalty Tickets” for just $75 for the 2018 festival. This is for the first hundred tickets, then price goes to $115 for another hundred sales. 2018 final ticket price TBD as we’re starting to attract performers now, with the momentum gained. If you can set these dates aside, July 20-22, 2018, get Loyalty Tickets while they are available and SAVE. 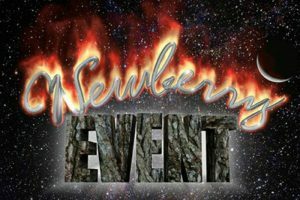 Follow The Newberry Event website and Facebook page to see photos and videos of all five Newberry Events and to keep up-to-date. If you didn’t go to this event, you missed one of Central Oregon’s premier music and arts festivals.